italian food | ...and another cup of coffee. Summer comes along and so does a change in the menu at my house. We like salad, like most people, but man did it get boring after a while. Then my mom told me about a salad she used with all basil and no lettuce. To be honest it sounded a little gross and overwhelming at first to me. Don’t get me wrong, I love basil, I put it into any pasta dish I make and more. I was worried that it would be a little “basil over kill” for it to be the main base of a salad. Now you can put the ratio for these ingredients however you like. 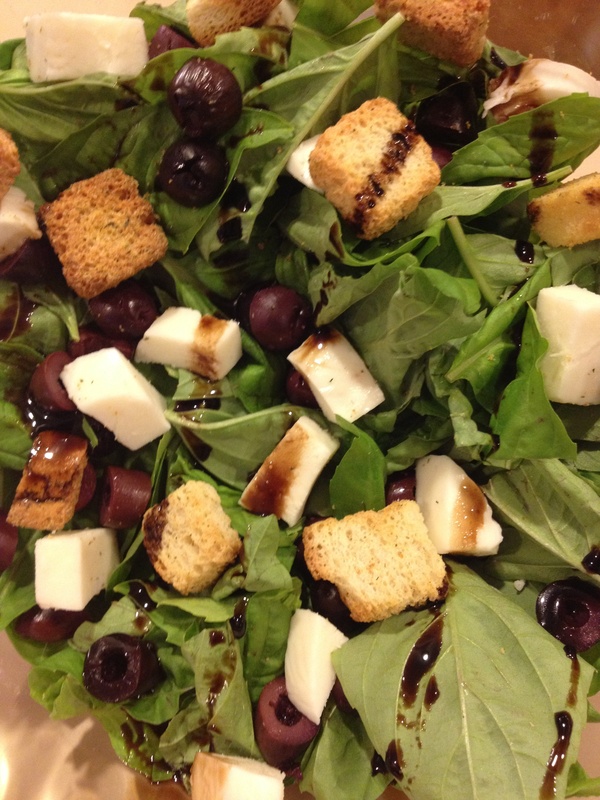 I use 4 oz of basil, 1/4 cup cut Greek olives, about 4 oz of fresh mozzarella cut in small cubes, 1/2 croutons, 1 tbsp olive oil and about 2-3 tbsp balsamic depending on how strong you would like the flavor. Just make it anyway you like. 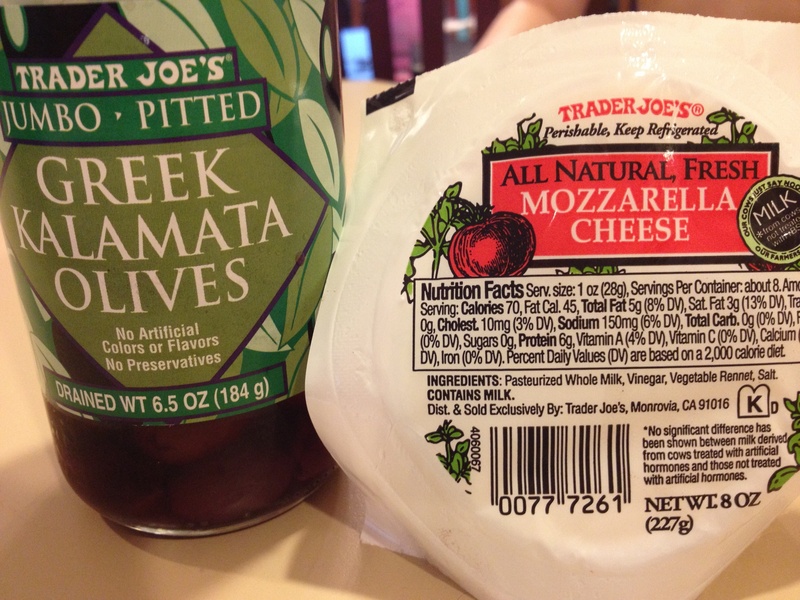 Now I get all my ingredients (except the balsamic vinegar, tell you later) for this salad at Trader Joe’s. Up here in Washington at my Trader Joe’s it’s a 4 oz package of organic basil it’s $2.79 and regular $2.29. The other ingredient that really makes this salad so awesome is the balsamic vinegar. 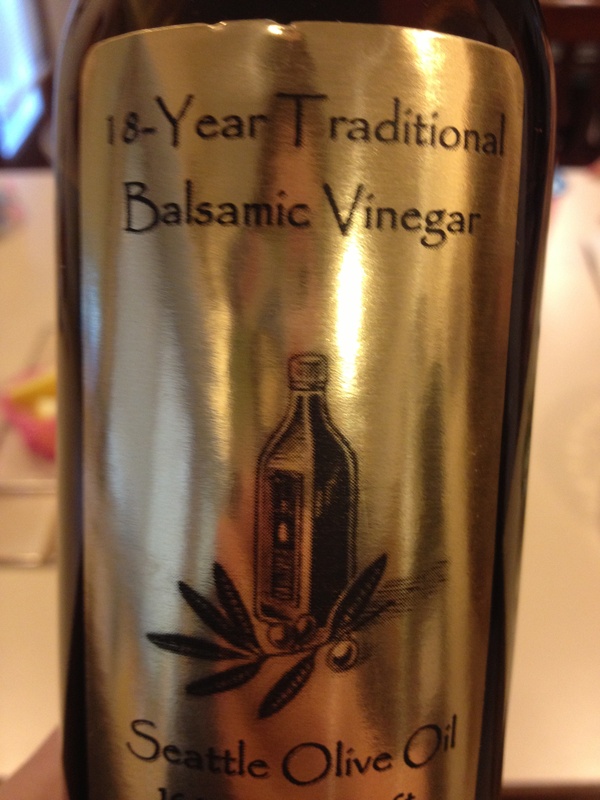 I have made this salad with the balsamic vinegar from Costco many times but my absolute favorite is to use an 18 year aged balsamic vinegar I found here locally and I don’t think I can ever go back! It’s so flavorful and a little thicker than your run-or-the-mill balsamic. My husband is hooked on it, my family and extended family all fell in love with it during a visit a few years back. Now every time they come they have to get a bottle or two to take home! This stuff is so good I have even put the Strawberry Balsamic one this company makes on steak…I know weird right? But it’s that good people!